This Beerwart Jeweler sign is 58″ by 43″. The sign has a small pocket watch illustration at the top left. 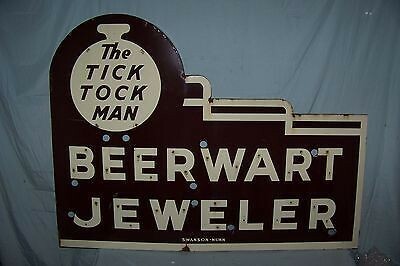 The text on the clock reads “The Tick Tock Man.” The text in the main area of the sign reads “Beerwart Jeweler.” The sign is navy blue and white.